The troubles and disappointing performance of some of Japan’s corporate giants have dominated newspaper headlines. And yet Japan still has the third-biggest economy in the world. What underlies the strength of the Japanese economy? Large enterprises in fact account for no more than 11,000 of the 3.86 million companies in Japan—99.7% are actually small- and medium-sized enterprises (SMEs), many of which maintain a low public profile. In Global Class Japanese SMEs, Makoto Kurosaki, a professor at Teikyo University, explains how 24 Japanese SMEs have gained high market share and become indispensable partners for larger firms. manufacturing by Japanese and international automakers to a halt. It was a stark reminder that small local factories can have a huge impact on both leading industries and society at large. 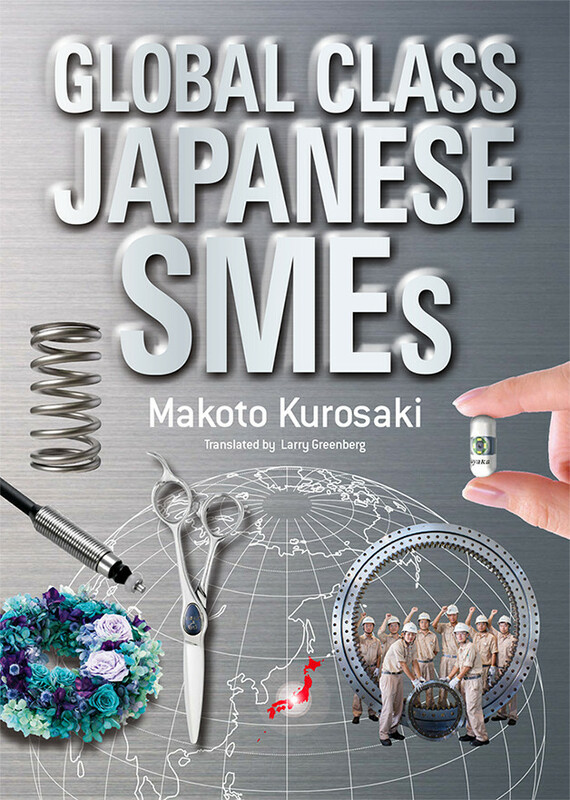 Japanese SMEs is a deeply informative examination of little-known Japanese SMEs. It also offers many hints on how to develop successful global operations, which rest to a great extent on how a company is managed, how passionate and motivated business leaders are, and how competent and skilled the entrepreneurs are. 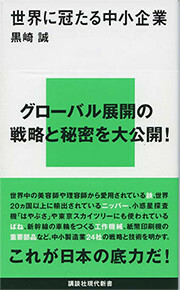 Makoto Kurosaki, a professor of business administration at Teikyo University, had a long active career as a journalist with Jiji Press covering a wide range of Japanese industries and institutions, and has also served on its editorial board. He has published numerous works based on his wealth of information and experience.